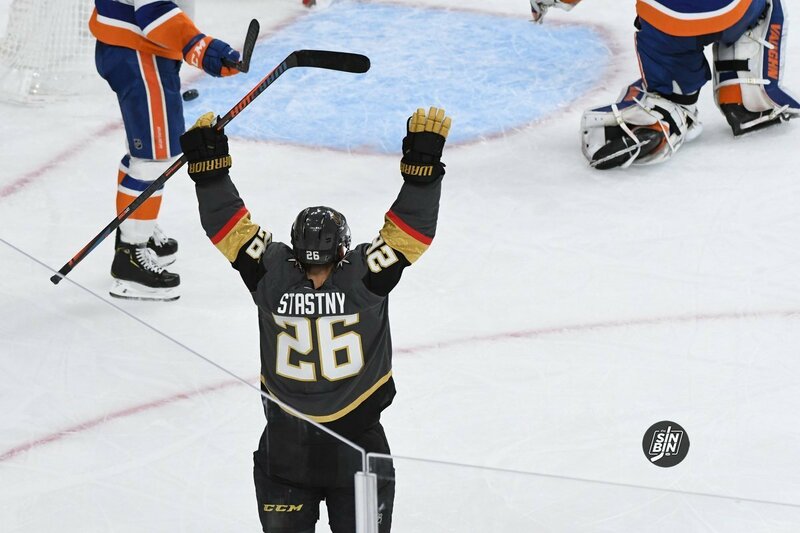 Last night was an eye-opener for the 2018-19 Golden Knights. 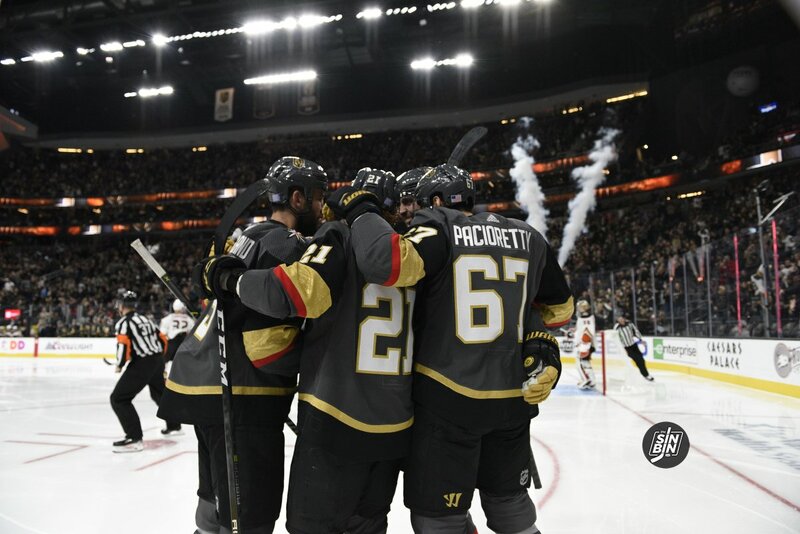 After a tough loss against the Arizona Coyotes, the fourth straight at home, Gerard Gallant delivered a strong message in the locker room following the game. The team followed it up with a lengthy, competitive practice on Friday and then went without morning skate on Saturday. It appeared they had hit rock bottom and appeared primed to start the turnaround. Last year’s team had its moments too, but every time they would come back, play great, and win. This team didn’t. Instead, this team got outmanned in a game they simply came up short in the talent department. 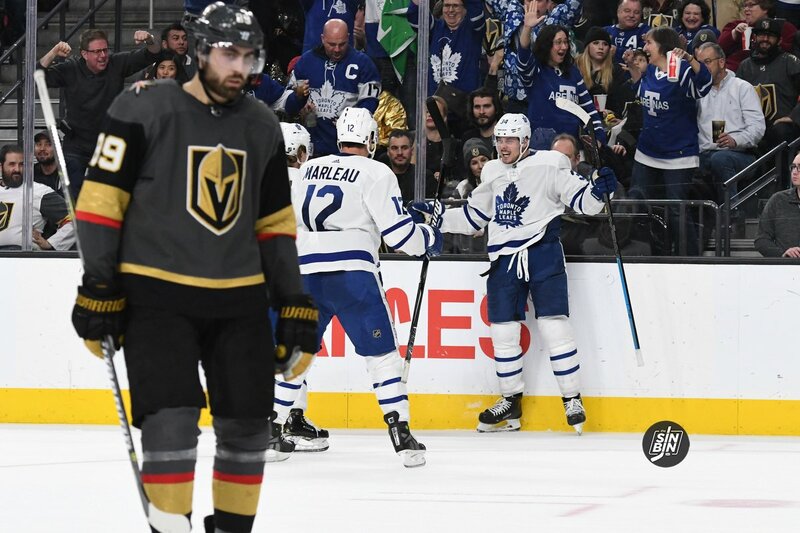 The foursome of Auston Matthews, John Tavares, William Nyander, and Mitch Marner scored three goals and tallied seven points while the entire Golden Knights top six (Karlsson, Marchessault, Smith, Stastny, Tuch, and Pacioretty) had two goals and four points with half of that damage coming on a shorthanded goal. The VGK 2nd line was a combined -8 and the 1st line put up a miserable 25% Corsi For percentage as a group. Matthews’ line ate up Stastny, Pacioretty and Tuch scoring twice and posting seven scoring chances to Vegas’ one. 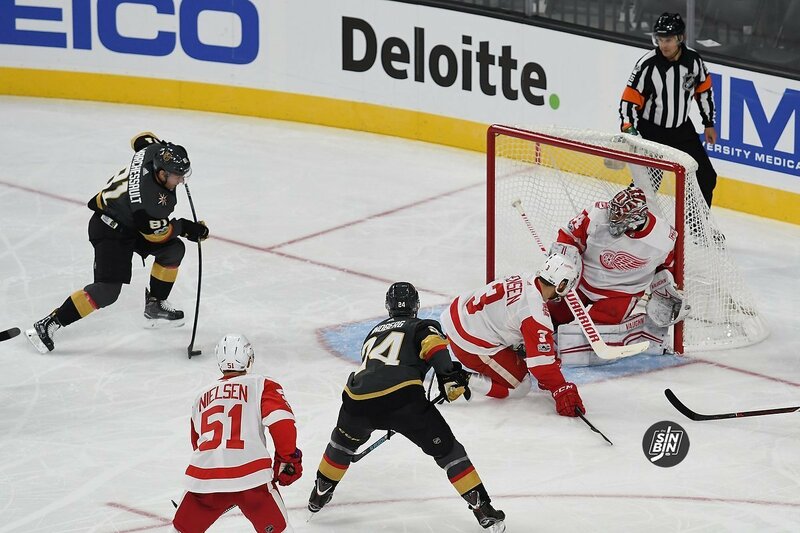 All in all the Golden Knights top six played 20 of the 36 minutes of even strength action and accounted for one goal while allowing three and created just seven scoring chances compared to Toronto’s 17 while they were on the ice. Here’s the good news. 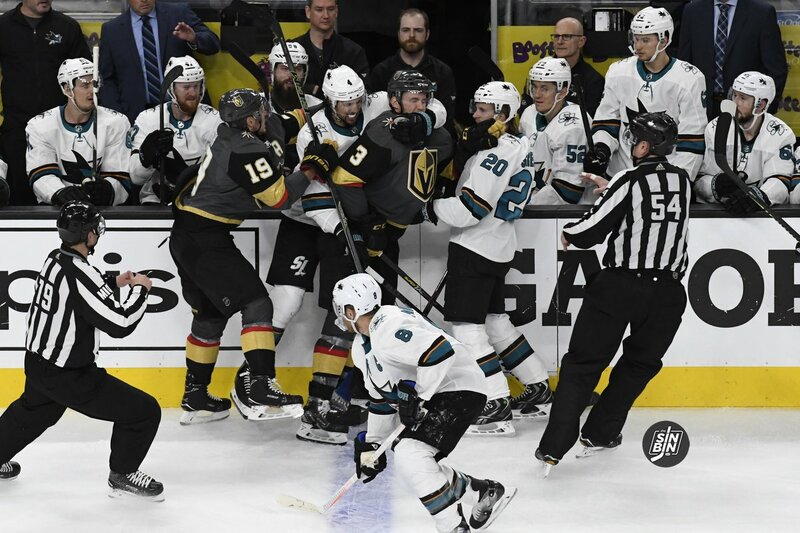 Despite all of it, and while playing the worst hockey in franchise history, the Golden Knights were right there. They had a lead in the 2nd, tied the game in the 3rd, and had a power play chance to take the lead inside of 15 minutes remaining in the game. This is still the same team that posted 60 points in their first 48 games and positioned themselves safely in the playoff picture. 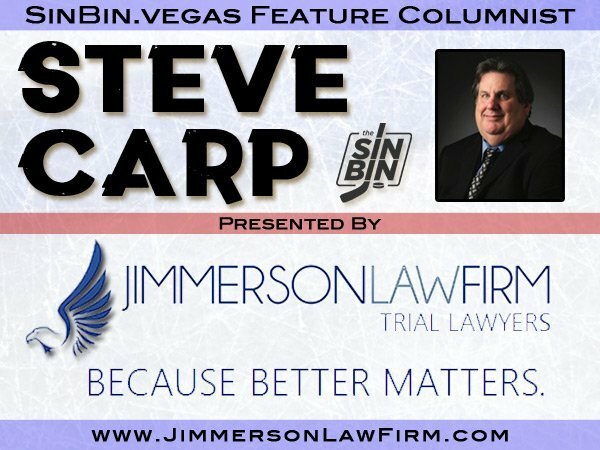 With just four games before the trade deadline, it’s time the Golden Knights look in the mirror and realize they have to win with balance. No longer is their first line so dominant that they can be relied upon to not only shut down the oppositions top line but score while they’re at it. They can’t expect their 2nd line to pick up the slack left behind by the inevitable regression of that 1st line. They need to return to what became their identity last year and what was at times earlier this season. A balanced attack that never stops applying pressure. The best way to do that, break up the top six. 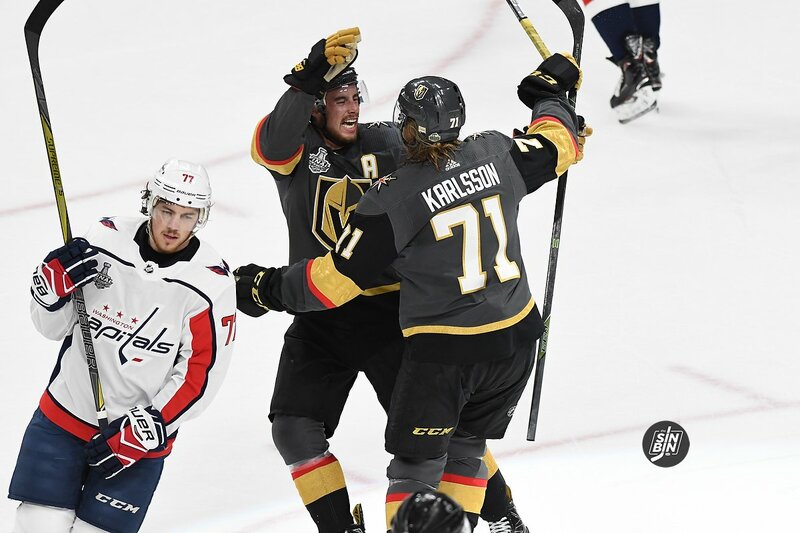 It took until Game 8 of the Golden Knights inaugural season to find the combination of William Karlsson, Jonathan Marchessault, and Reilly Smith, but once the eventual Jack Adams award winner Gerard Gallant found it, he rode it for all it was worth. 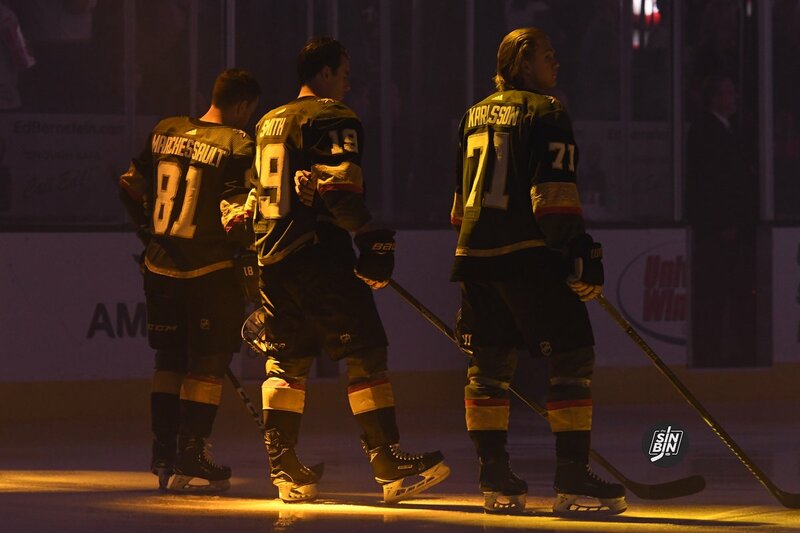 The oft-described “top line” of the Golden Knights took the league by storm scoring a combined 92 goals, 213 points, and an insane +116 rating. They found themselves in the debate as the best line in hockey and helped power an expansion team to a division and conference title. But then, in the matter of literally a second, the line was broken up. Down 2-1 in the game, Gallant swapped Tuch and Smith creating a line of Karlsson, Tuch, and Marchessault, and another of Stastny, Smith, and Pirri. From then on, the Golden Knights completely took over the game. 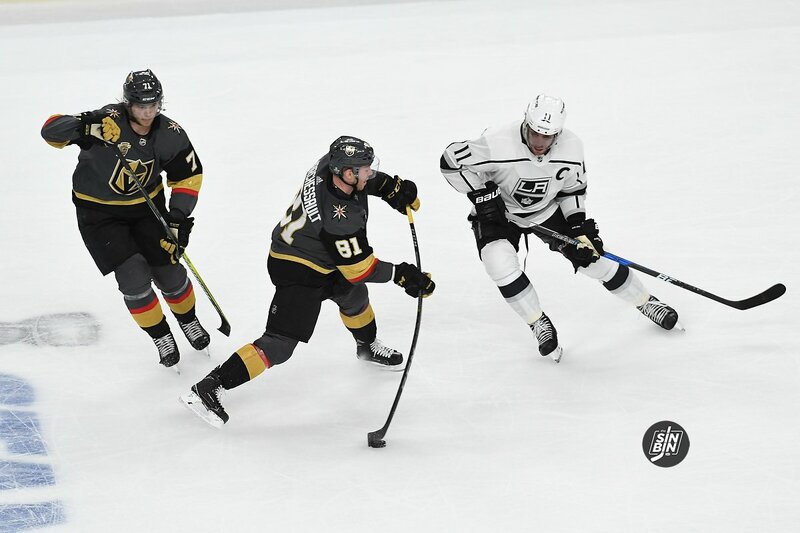 Vegas dominated possession, scored three straight goals (and another that was taken off due to an offside challenge) and completed a come back from a two-goal deficit to win their 6th straight home game. 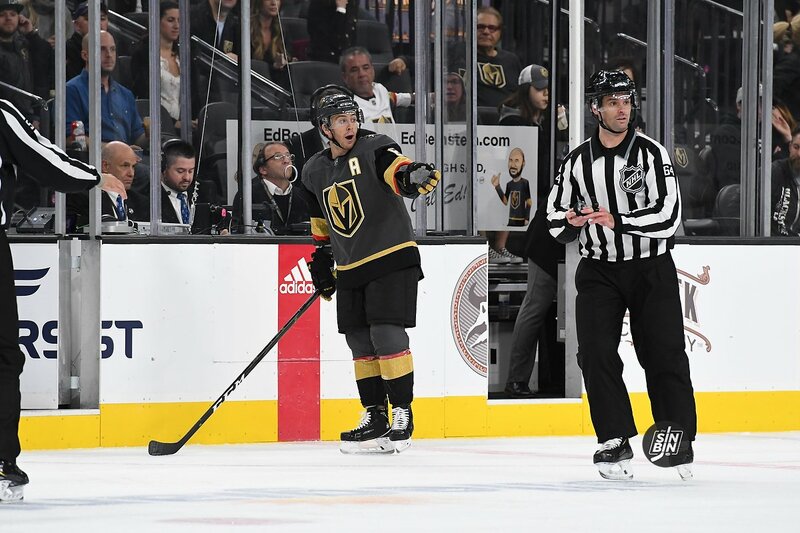 Over the course of the first 10 games of the season, the Golden Knights top line of William Karlsson, Jonathan Marchessault, and Reilly Smith tallied 10 of the teams 21 goals. They also accounted for 24 of the team’s 49 points. In short, as we wrote about at the time, they were carrying the team. Unfortunately, that has come to a screeching halt. In the past five games, the top line has scored just two goals, racked up a measly three assists, and have a disastrous combined -11 rating. They’ve also allowed four even-strength goals after allowing just four in the first 10 games. To make matters worse, their shot totals, scoring chances, and high danger chances are all down, while their goals against, shots against, and chances against are all up. We also haven’t seen the killer forechecking we’ve grown so accustomed to over the past five games either. Quite simply, they are no longer carrying the team, and with the injury to Erik Haula, that has to change. I’m not sure I’m ready to say it’s time to break them up, but with the lineup in a bit of turmoil, it has to at least start creeping into consideration. 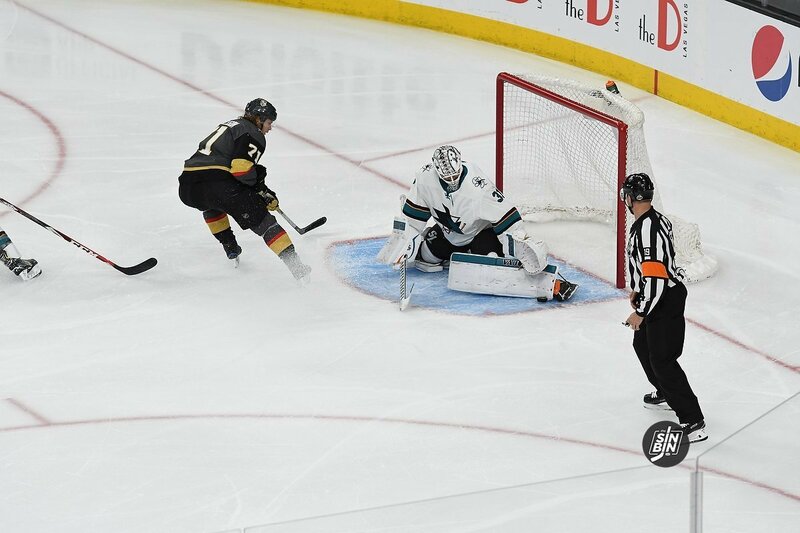 A move like this could ignite Max Pacioretty, it could breathe a little more scoring into the 2nd line, and if reigning Jack Adams winner Gerard Gallant decides to really shake it up it might lead to the return of the balanced attack that the Golden Knights became known for a year ago. Much like a majority of last season, the top line had been scoring almost three points a game as a unit, but it’s been nearly two weeks since that’s been the case. If it returns, all will be well, but if it doesn’t, that line may look a lot different in the next two weeks.